On March 10, just before 1 a.m., a 27-year-old man was hit by a vehicle, which then fled the scene. Law enforcement’s initial investigation found a 2018 Silver Chevrolet pickup truck entered the parking lot of Via Entertainment on U.S. Highway 441. The Chevrolet truck first struck a 2011 white Chevrolet SUV and then hit two pedestrians who were waiting outside of a venue for an event known as Hang Out Fridays. The driver of the Chevrolet truck fled the scene on foot. One pedestrian refused medical treatment at the scene. The other was airlifted to Orlando Regional Medical Center with critical injuries. That person then passed away that Saturday afternoon. Following a hit-and-run accident, the driver found at-fault for the crash faces both criminal charges and a civil lawsuits. Driving or running away from the scene of an accident that clearly or probably resulted in property damage, injuries, or fatalities is against Florida law. Under Florida’s Motor Vehicle Code §316.027, the driver of any vehicle involved in a crash on public or private property, which results in injuries, though not serious bodily injury, must stop and provide assistance or be charged with a third-degree felony, punishable by up to 5 years in prison, a fine reaching $5,000, and a 3-year driver’s license revocation. A driver failing to stop after a crash that results in serious bodily injury, will be charged with a second-degree felony. Serious bodily injury encompasses any physical condition that creates a substantial risk of death, serious personal disfigurement, or protected loss or impairment of the function of a limb or organ. A second-degree felony can be penalized with up to 15 years in prison, a fine up to $10,000, and loss of a driver’s license for 3 years. If a person flees the scene of a crash that results in death, that person will be charged with a first-degree felony and can be sentenced to a minimum of 4 years in prison. The at-fault driver also faces up to 30 years in prison, a maximum $10,000 fine, and a 3-year driver’s license revocation. In addition to being charged with a hit and run, the at-fault driver may face civil charges. The injured victim may file a personal injury claim. They can pursue compensation for their physical, psychological, and financial injuries, including medical expenses, lost wages, reduced earning capacity, physical pain and suffering, and mental anguish. The surviving family members of a person killed in a hit-and-run crash may file a wrongful death claim. In this type of claim, the surviving spouse, parents, and children may seek compensation for loss of their loved one’s financial contributions, loss of their relative’s love and companionship, and for spouses, the loss of intimacy. If there is evidence that the at-fault driver’s actions were egregious, the family may also seek punitive damages, which are not intended to be compensation for their injuries. Instead, punitive damages are intended to punish the wrongdoer. Were You Involved in a Hit and Run? At Salazar & Kelly Law Group, P.A. 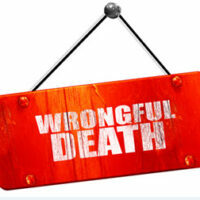 we handle a wide range of criminal charges, personal injury, and wrongful death claims. Whether you are accused of a hit and run accident or you were affected by one, contact our Kissimmee attorneys for help today.